Marching Shoes. Being situated in a low socio-economic neighborhood, our families can’t always purchase the extra items needed for band. With an increase in band enrollment over the last two years (up 20 students from last year, we will need to purchase additional marching shoes ($30/pair + shipping). These shoes provide one of the uniformity features inherent in a band atmosphere. "I love my job and I love my students. Anything that can be done to improve the music experience of my students is of great importance to me. In addition to providing quality music education, I feel it is important to give back to the community. The students at East have been great about performing for Downtown Green Bay, UW-Green Bay, Brown County Veterans Association, Community Seniors and Charity Organizations. I wish the public could see the talented and caring students I see on a daily basis." 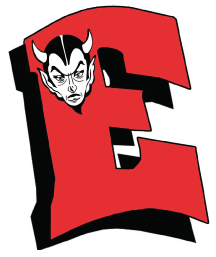 Drop off ncanned food items and support Green Bay East High School in their pursuit of a $2,000 grant.